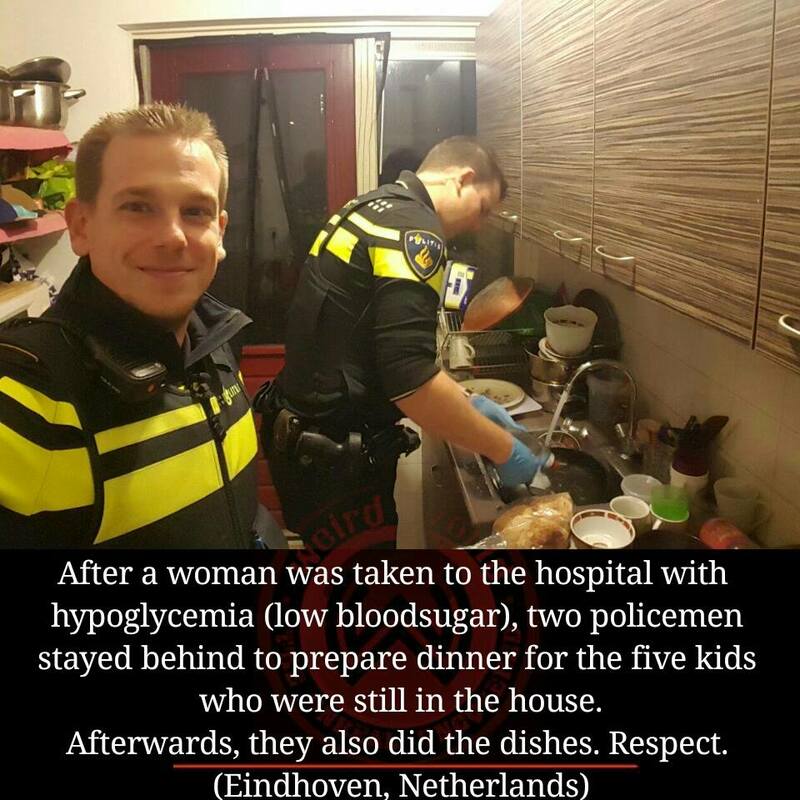 Two police officers in Eindhoven, Netherlands, tested their culinary capabilities earlier this week after answering a call to the home of a young mother with hypoglycemia. The officers, from the Eindhoven Police department, decided to pitch in around the woman's home after she was rushed to the hospital with low blood sugar, according to a translated post on the department's Facebook page. The woman's five young children were left unattended while the authorities attempted to locate a caretaker, so the officers stepped up. After making fried egg sandwiches (with some healthy fruit on the side, of course) for the children, both men also took over cleaning duties – washing and drying the dishes.